Although I would much rather think of spring flowers this time of the year, sadly, we all have those times when we have to think of other things instead. Nobody likes making a sympathy card, myself included. But for those times I do need one, I try to make it just as beautiful as possible. 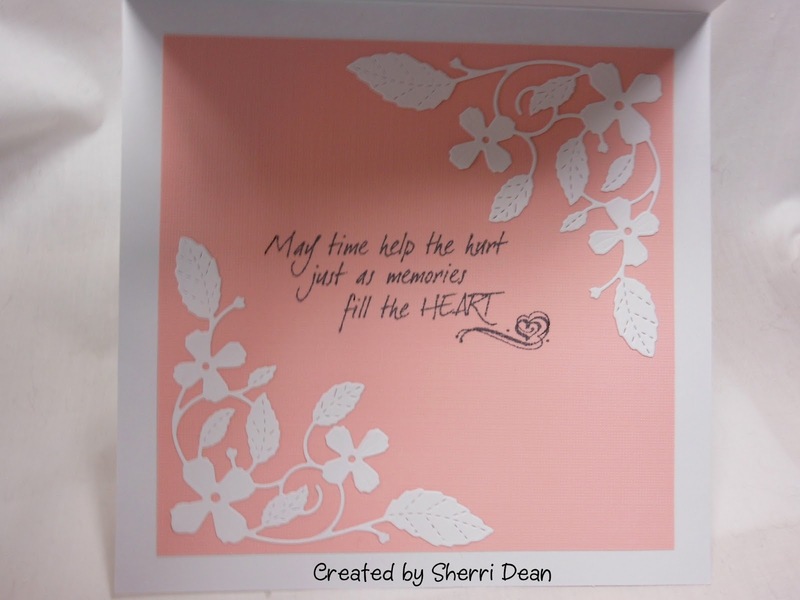 And I know that anyone receiving a handmade sympathy card knows that a lot of love went into it's creation. I just got the Poppy Stamps Hampstead Corner the other day & I knew I wanted to use it on my card. I decided to cut 4 of them & use them to frame my sentiment. 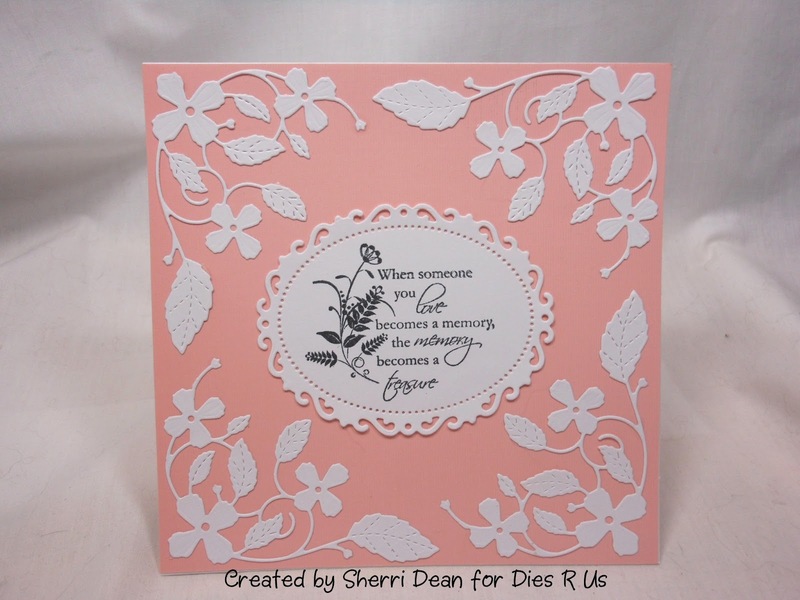 I wanted the sentiment to be special too, so after I stamped it, I cut it out with Spellbinders Floral Ovals. This die is currently out of stock, but you could easily use any of dozens of beautiful dies in the store instead. This is the front of my card. And this is the inside. I carried the beautiful corner to the inside as well. I am SO in love with this Hampstead Corner die! I can see it on so many other cards besides a sympathy card. No matter how many beautiful stamps you have, you just can't create this degree of gorgeous unless you have a die! Be sure you head on over to the Dies R Us Store to check out the latest additions! 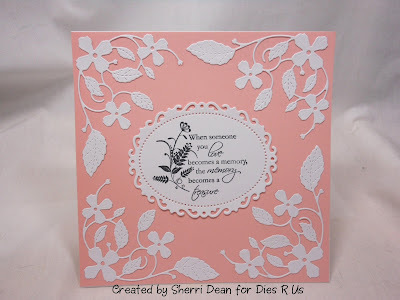 And don't forget that a new challenge just began yesterday on the Dies R Us Challenge Blog! Play along & you could be the winner of a gift voucher to the store! How awesome would that be!! Until next week, have a wonderful week and be sure you spend at least one day creating something beautiful! It will do wonders for your attitude! Kick up your heels & dance!! Gingham and Poppies . . . I Wish Ewe a Happy Birthday!